French law has many differences compared to what you may be used to in your country of origin. In our series of questions from FrenchEntrée magazine readers, our expert contributors select the most frenquently asked questions on matter of French law. In this case, the query comes from a reader in the UK, about the validity of a foreign power of attorney in France. Reader: My wife and I are both in our mid 70s and own a holiday home in France. We still make good use of the property and enjoy our visits to it. However, we are becoming concerned about what would happen if either of us became ill and loses mental capacity. How will the other be able to sign documents to sell the property if one of us is considered unfit to sign? Barbara Heslop: Just as in the UK, there is a process to alleviate such a problem. 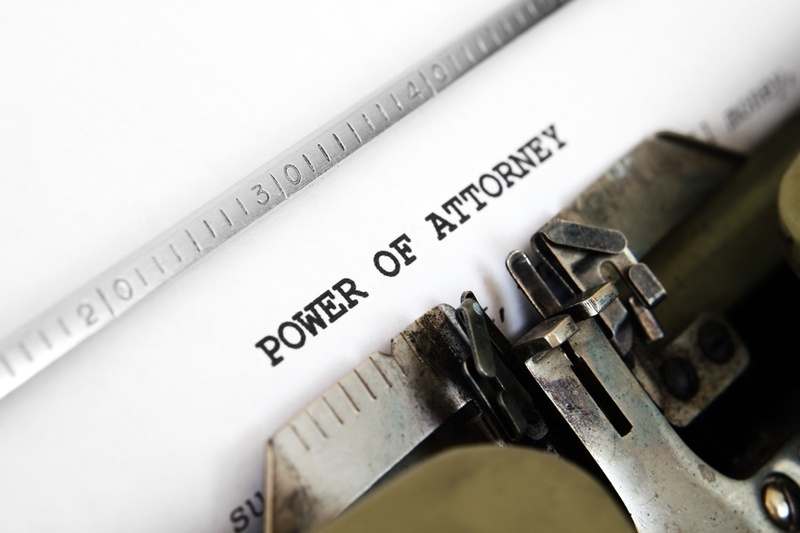 In the UK, individuals have the option of giving a Lasting Power of Attorney (LPA) to a family member or close friend. A similar option exists in France and is known as ‘un mandat de protection future’ (‘a mandate for future protection’). This is a way for individuals who have legal capacity to appoint someone to manage their affairs if and when the individual is no longer capable of doing so. The mandate is a formal document and although the involvement of a French notary is not compulsory, it is advisable to have the document drawn up as an “authentic deed” by a notary in France. This ensures the existence of the document is safeguarded and that it will be easy to locate if it becomes necessary to use it. Also the involvement of the notary in France should mean that the deed will be correctly drafted with no ambiguous provisions or clauses. The mandate can also include details of what level of care the individual wishes to receive at the end of their life (such as provisions similar to a ‘living will’). However, for UK residents such as you who own property in France, you might find it easier to put a UK LPA in place. In the event of incapacity, French authorities and notaries will recognise a valid UK LPA and the powers conferred by it, and allow your solicitor to sign on your behalf, provided that evidence is produced to satisfy them as to its authenticity and validity for the purpose intended – ie to deal with the sale of a property in France. As always, please seek specialist advice before signing any legal document whether in France or in the UK. I have a problem with a French POA. I wish to gift some shares in my French holiday home that is owned via an SCI to my grandson who is a minor. The attorney has drawn up a POA to allow my daughter to accept the gift on behalf of her son. She is in the UK and needs to have the POA notarised. The English Notary is refusing to sign off on the POA because she says that she “cannot certify that you act as legal representative of your son as this concept of representation does not exist under English law. Provided that your notaire approves the granting of the power of attorney in your personal capacity without reference to you acting as legal representative, I would be happy to proceed with the notarisation”. She has returned the POA removing my grandson’s name dob etc. The French lawyer says that the POA has to include the name of the person that my daughter is representing. Who is right? What should be done in the following circumstances. Our friend and neighbour is 80 and has been French resident for twenty years. She is suffering from the early signs of dementia. Her money is mostly in the UK (English bank account) and from UK pension income. Her house in France is in shared ownership with her UK resident daughters. While she wishes to remain in France as long as possible, the daughters may wish to acquire a power of attorney while she is still mentally capable. Should this be done in the UK (where most of her bank savings are located) or should it be in France, under the French legal system? If she returns to the UK and the house needs to be sold to support her care needs back in the UK, would the daughters be free to do this under a UK power of attorney or would the French notaire not accept this? And would the income from the sale of the property be subjected partially at least to the tax rate applicable to second homes, or to the French resident’s use of it as her primary dwelling? If anyone has any idea what is the right approach in these circumstances, it would be helpful to hear your views.